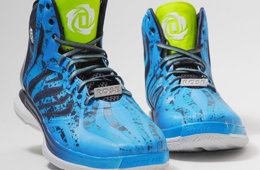 Here's a look at the adidas D Rose 4.5 'All-Star' shoes Derrick Rose would have worn if he made the trip to NOLA. 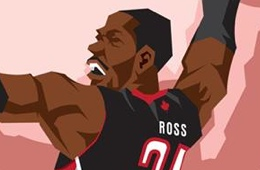 To celebrate NBA All Star Weekend 2014 creative agency Havas Worldwide Warsaw and artist Michal Dziekan recreated legendary Slam Dunk Contest winning dunks. 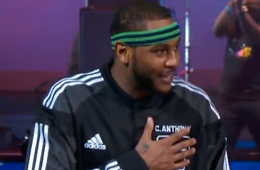 Carmelo Anthony set a new NBA All-Star game record draining eight 3-pointers to help will the east all-stars back to victory. 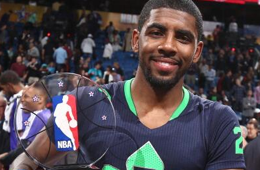 Kyrie Irving won the All-Star MVP hitting 14 of his 17 shots and hitting 3 of his 6 from 3-point and dishes out 14 assists to lead the East over the West. 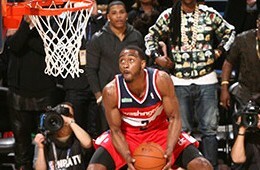 The dunk contest felt like it ended before it even started with the new freestyle driven format, but John Wall emerged as the eventual 2014 Sprite Slam Dunker of the Night. 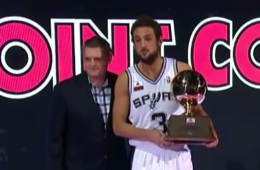 Underdog Marco Belinelli comes out of nowhere to win the Foot Locker 3-Point Contest by fended off challenger Bradley Beal in the final round. 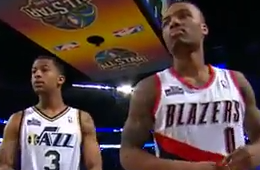 Damian Lillard and Trey Burke joined forces to dribble, pass, and shoot their way to the winning time in the 2014 Taco Bell All-Star Saturday Skills Challenge. 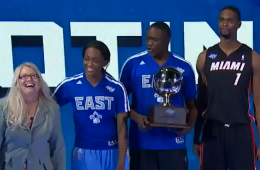 Team Bosh comprised of Chris Bosh, Dominique Wilkins and Swin Cash shoot their way to the 2014 Sears All-Star Saturday Shooting Stars victory. Here's a look at each contestant participating in tonight's dunk contest illustrated by Muideen Ogunmola aka Blocknation. 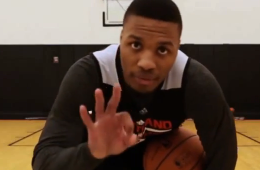 Tonight reigning Rookie of the Year Damian Lillard will become the first player to participate in the Taco Bell Skills Challenge, Foot Locker Three-Point Contest and Sprite Slam Dunk Contest. 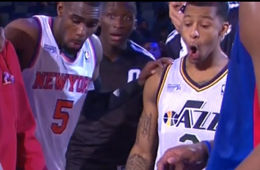 In the only competitive stretch of the Rising Stars Challenge game. 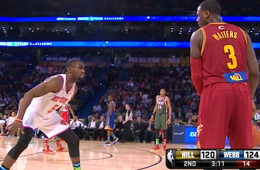 Tim Hardaway Jr. and Dion Waiters have an offensive 1-on-1 duel to kick everything up a notch on the fun scale. 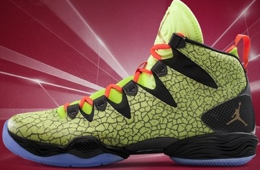 Inspired by the elegant structures around the French Quarter, the crackle texture upper of the Air Jordan XX8 "Crescent City" you'll see more of during All-Star weekend honors the distinct cityscape of New Orleans.